Retrouvez les dernières actualités du Dphp. Suivez le Dphp sur les réseaux. Access to thesis, HDRs and publications. Physicists of the SPP Cosmology group use several cosmological probes to constrain the energy content of the Universe: the baryon acoustic oscillation (BAO), with participation to the BOSS, eBOSS, and DESI experiments ; type 1A supernovae within the SNLS experiment ; and galaxy clusters with the data of the Planck satellite. The BAO studies exploit quasars, with which one can explore distant regions (with redshifts between 1 and 3), by looking at the Lyman-α, which map the intergalactic hydrogen clouds through which the emitted light is travelling. The BOSS project of the SDSS-III (Sloan Digital Sky Survey) has ended data taking, to allow for eBOSS of the SDSS-IV to begin. The DESI project will start taking data at the turn of 2020. The Institute is responsible for the production of the cryostats for the ten triple-spectrometers of DESI. 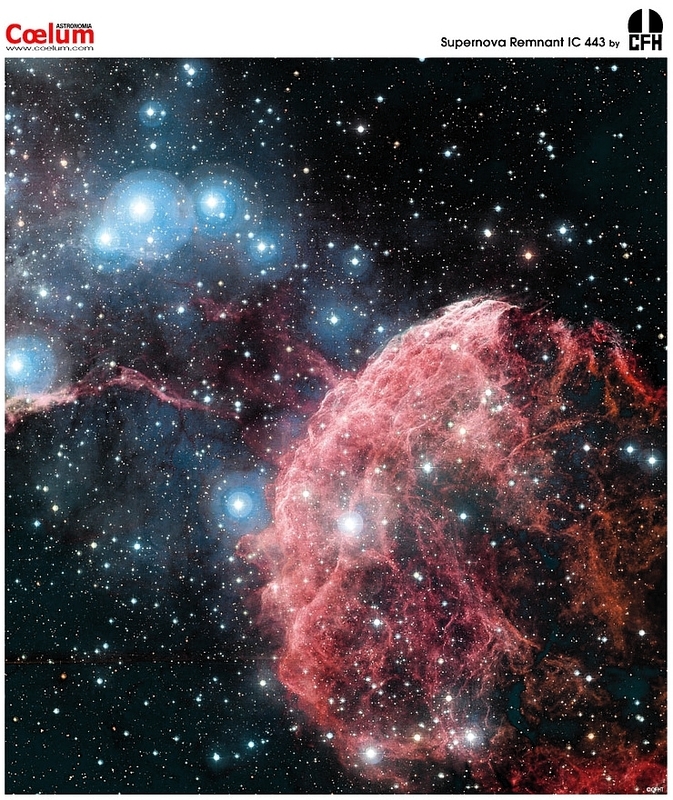 The SNLS activities are focused on the photometric study of SN1A, and the investigation of the galileon hypothesis, in collaboration with physicists of the CMS group. As for the Planck data, the SPP group takes responsibility for producing a catalog of galaxy clusters, in close collaboration with groups of the SAp and the APC laboratory. Le SPP Cosmology group gathers nine physicists and four PhD students. The group leaders are Nathalie Palanque-Delabrouille for BAO and Vanina Ruhlmann-Kleider for SNLS.